Rising above the Southern Patagonian Ice Field on the border of Chile and Argentina is a narrow finger of rock 3128 metres in height that for over 50 years has been a source of controversy among the climbing community. Last month an incident occurred there which added another chapter to its controversial history, and has become the most talked about topic in the world of climbing. 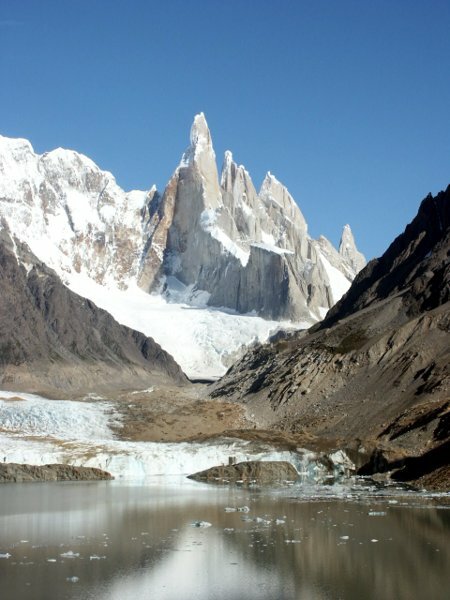 The mountain is Cerro Torre, and the central character in its story is an Italian climber called Cesare Maestri, now in his 80s, who claimed its first ascent in 1959, then returned in 1970 for a second go in extraordinary circumstances. Although his first ascent is disputed, it’s for his second attempt that he gained notoriety. The latest characters to enter the stage are two young American climbers called Hayden Kennedy and Jason Kruk, who may be remembered in future years for making a pioneering ascent of the mountain, but for now are the subject of debate not for what they did on the way up, but what they did on the way down. At the heart of the story is the very emotive and subjective issue of climbing purity, and what constitutes “fair means” of climbing a rock face. 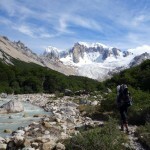 There are gigabytes of blog posts and news stories knocking around about Cerro Torre at the moment. The incendiary nature of the actions of these three climbers are such that some forum threads have attracted quite literally thousands of comments, and it’s very difficult to work out what’s going on. 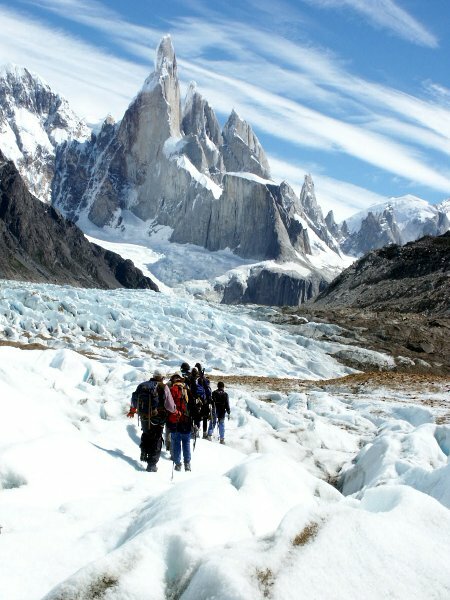 I once trekked in the Fitzroy region of Argentina, and walked up a glacier very close to the foot of Cerro Torre. It’s a beautiful mountain, a very striking one that will always have an attraction for me, as it very evidently does for serious rock climbers. I also have an interest in the history of mountaineering, so undeterred by all the noise I’m going to try and make sense of it all. What did Maestri do, and what did Kennedy and Kruk do, and what’s all this fuss about fair means? Let’s go back to the beginning. For many years following his 1959 climb, Maestri was taken at his word: that he climbed this fiendishly difficult tower of rock, and that his climbing partner Toni Egger, who reached the summit with him, was killed in an avalanche during the descent. Maestri, the only survivor, was found in a state of near delirium days later, muttering confusedly that he and Egger had been successful. It wasn’t until much later that doubts began to be expressed. Rival climber Carlo Mauri, who made an aborted attempt of his own on the mountain and vowed never to return there, later published an article implying the peak had never been climbed. 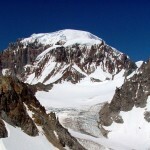 Despite many subsequent attempts by the Maestri-Egger route, now known as the Southeast Ridge, on the final 1000 metres of the ascent above a point known as the Col of Conquest, no trace of their climb has ever been found, yet an ascent of adjacent Torre Egger in 1976 discovered evidence of Maestri and Egger’s 1959 ascent of that particular mountain in the form of rope, pitons, wedges and carabiners littering every few metres of the early part of the route. Yet there’s much circumstantial evidence to suggest Maestri’s claim is plausible. Many of the doubters point to the fact that all subsequent attempts to use the Maestri-Egger route have failed, but a quirk of the weather meant conditions in 1959 made climbing the higher reaches of the mountain favourable. 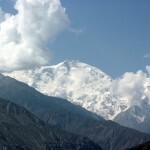 For several days prior to their ascent a storm rocked the mountain. When it cleared the usually bare rock was covered in a thick layer of temporary ice which enabled Egger, at the time one of the best ice climbers in the world, to make headway. The precipitous nature of the mountain, combined with the strong Patagonian winds and the fact that the ice of their ascent route was only temporary, meant that much of the debris they left behind couldn’t possibly have remained in any case. Maestri’s notes on the climb are somewhat sketchy, but his descriptions of the extended fore summit and ice mushrooms lining it bear a similarity to conditions which would require a remarkably prescient imagination to have invented. 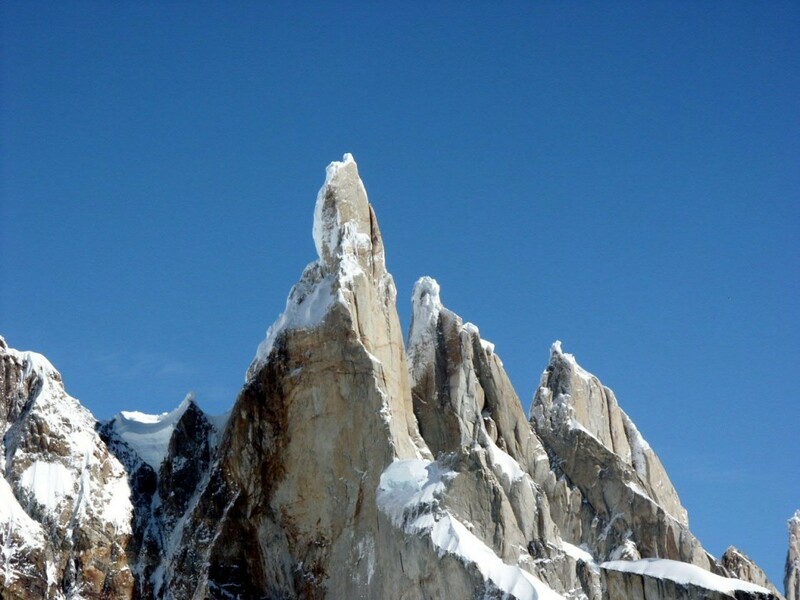 Although we may never know the true history of Cerro Torre, we do know the first undisputed ascent occurred in 1974, by another Italian team led by Casimiro Ferrari. While most people these days regard Maestri’s 1959 climb to be a hoax, there are still many people who believe he did climb it. Maestri didn’t help his cause by returning in 1970 for a fresh attempt armed with a 150 kilogram petrol-driven compressed air drill to attach bolts into the side of the mountain. He then refused to climb the final 50 metre ice mushroom on the summit saying it wasn’t really part of the mountain and would fall off eventually. It’s this “bolt ladder” that has so offended climbing purists since. Many say he murdered the mountain, and the Slovenian climber Silvo Karo famously said “that climb was stolen from the future” by Maestri (meaning that a “genuine” first ascent by that route could never be made now that so many bolts had been placed into the rock). For 40 years the Compressor Route as it’s now known (though perhaps not for much longer) has been the de facto normal route up Cerro Torre. 90 per cent of the ascents since have been via this route, where climbers have some 400 bolts they can choose to attach to most of the way to the summit. While plenty of people have climbed the Southeast Ridge using Maestri’s bolts, until last month, when Kennedy and Kruk chose to avoid them yet still made the ascent in a very rapid 13 hours, nobody had ever climbed it by “fair means”. Even so, their impressive climb may still have been a footnote had they not removed 125 bolts from the Southeast Ridge on their descent, effectively erasing the Compressor Route from the mountain in a matter of hours. They believed they were doing the right thing, that they were claiming the route back again for the purists, yet when they arrived in the village of El Chalten, a popular outdoor activity centre not far from Cerro Torre, police arrested them and confiscated 102 bolts. While most people agree Maestri should never have put the bolts there in the first place, opinion is hotly divided about whether they should have been removed, and even more so about the manner of their removal, by two climbers on one side of the debate taking the decision unilaterally. Clearly many lesser climbers would now be unable to climb Cerro Torre. Should Kennedy and Kruk have been entitled to deny them the chance just because they are better climbers and have different beliefs? One respected climbing historian asked the question “should we flatten the Pyramids because they were built with slave labour?”. Yet for many people Kennedy and Kruk are heroes. Another climbing writer said they had done a great service and said he was saddened “to see them receive so much criticism for what I consider to be an altruistic act”, pointing out that nobody has a “right” to climb Cerro Torre, and there are many easier mountains for less skilful climbers. So what is fair means? At the heart of the debate is the question of how much equipment a climber can use for his or her ascent to be considered fair. The phrase fair means is believed to have been coined by the Victorian mountaineer Albert Mummery, an Englishman who climbed many peaks in the Alps without hiring continental European guides, which may not sound very unusual now, but went against the norms of his time. He avoided the use of grappling hooks and ladders, and pushed the boundaries of climbing standards in his day. The Mummery Crack on the Grepon (a reference to a feature in the rock, and not a part of his anatomy) is a demanding pitch that climbers still have difficulty with today. He eventually died in 1895 on Nanga Parbat in the Pakistan Karakoram, attempting to climb an 8000 metre peak years before anyone remotely understood how to approach mountaineering at those extreme altitudes. In fact, it would be another 55 years before anyone would successfully climb one (Herzog and Lachenal on Annapurna). Few people dispute the use of ropes, harnesses, carabiners and rock shoes in climbing. Placing nuts (wedge-shaped bits of metal threaded with a wire you can attach a carabiner to, and hence secure yourself with a rope) into cracks in the rock, is regarded as acceptable because they can be removed by the climber coming up last. The use of bolts is more contentious because these need to be drilled into the rock, and hence become a permanent feature of the route. Historically in UK climbing circles bolts tend to be frowned upon, while in continental Europe they are more often tolerated, but this may be because much of the rock in the UK is brittle and more easily destroyed by a bolt, while in the Alps it is often firmer. The via ferrata routes in the Italian Dolomites even have aluminium ladders and steel cables to attach to as permanent features on sheer rock faces. Even those who accept the use of bolts are divided as to how much use of them constitutes fair means. Kennedy and Kruk didn’t think they shouldn’t be used at all, and even attached to some of Maestri’s. The issue for purists is “necessary use”. In other words, are they using the bolts to make it easier, or are they using them because without them they can go no further? Should bacon be crispy or floppy? As you can see, there’s no easy answer to this question, but one thing is certain: there are plenty of people out there who feel very strongly about it and aren’t afraid to say so. A thread about Cerro Torre on one climbing forum has an astonishing 1800 comments on it and counting. I wouldn’t recommend you read it, though. Posts about climbing ethics tend to be pretty bilious and inflammatory, probably because they’re so subjective. Any time anyone uses the word “purity” in any context it should set alarm bells ringing: after all, didn’t Hitler use it in relation to people. Should bacon be crispy or floppy? You like it one way; I another. There’s no point in getting too emotional about it. Where do I stand? I’m more of a walker than a rock climber, so I’d prefer to stay out of it. 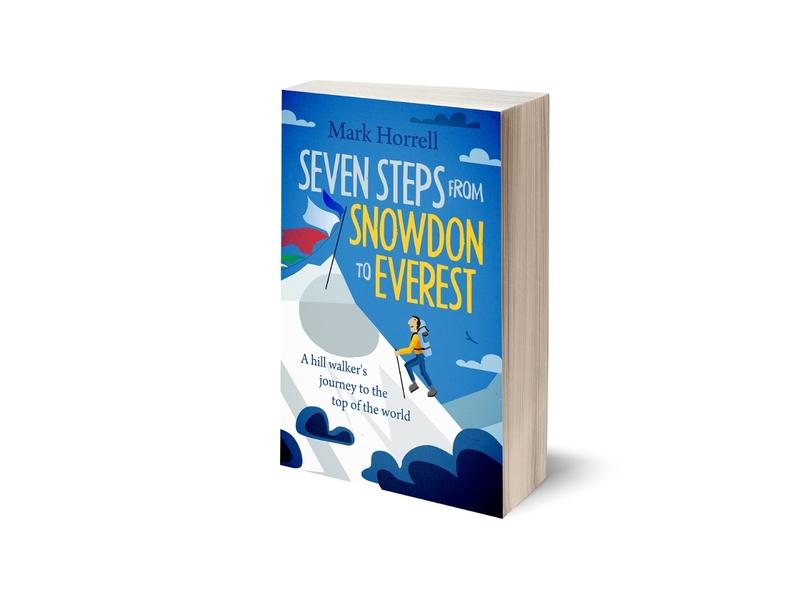 I’ll be using ice axe, crampons, down suit, fixed ropes, mountaineering boots and supplementary oxygen for my attempt on Everest this spring, but I draw the line at being short-roped (having a Sherpa drag you up the mountain on a one metre cord). I doubt I would ever have been tempted by the Compressor Route, and now Cerro Torre is definitely not an option for me. I would love to return to that part of Patagonia, though, to do the ice cap circuit from El Chalten and view Cerro Torre and nearby Fitzroy from the Southern Patagonian Ice Field. I’d very much like to tow a sledge across the ice cap and climb Cerro Lautaro and Cerro Moreno on the other side. 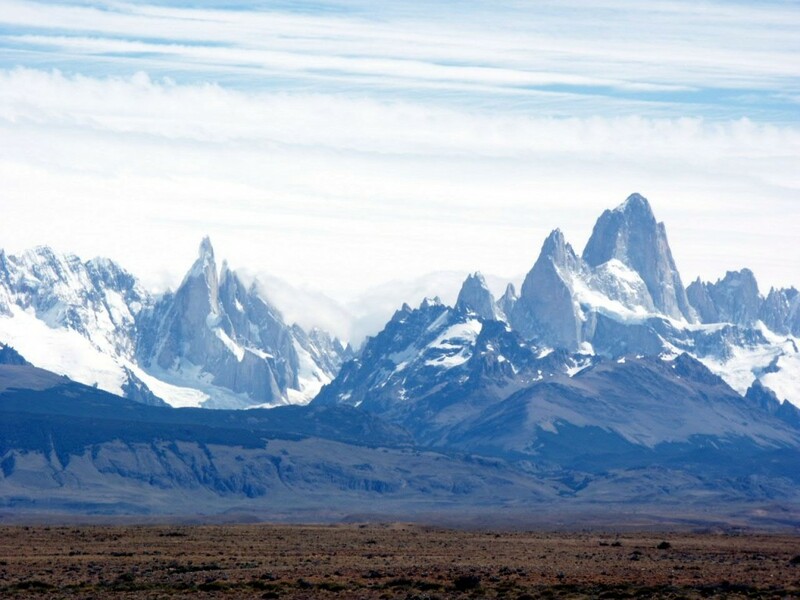 These are easy peaks from a technical point of view, very different from Cerro Torre and Fitzroy, but they would be true mountaineering expeditions. I do feel strongly about false summit claims, as you can see from a previous blog post. I even wrote a whole e-book that used them as an underlying theme, but as to whether Maestri made it or not, I just don’t know. Meanwhile the history of Cerro Torre is still being written. Indeed, there’s now a new chapter which has only just opened. Just days after Kennedy and Kruk’s ascent, a young Austrian called David Lama claimed the first free climb of the erstwhile Compressor Route, eschewing even the five bolts Cerro Torre’s liberators made use of. It’s now being described as a mountain set free. Whichever way you look at it, it’s an extraordinary peak even without its extraordinary history. ← Which is harder, the Second Seven Summits or the first one? Great post. Didn’t know this interesting piece of Patagonian history.